Learn how Fortnite’s ranked-esque mode works. Fortnite: Battle Royale finally has a ranked-esque game mode, the Arena Mode. It was introduced with the v8.20 update as a new way for players to compete with others in professional game settings and possibly obtain a spot in major online and offline competitions with prize money. 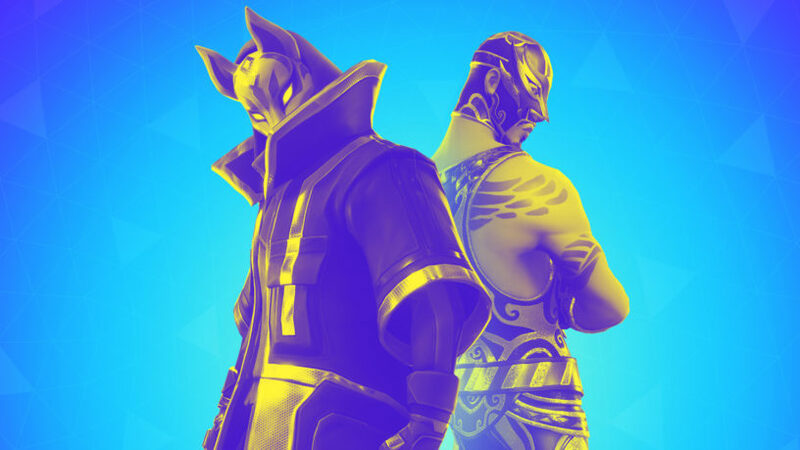 The Arena Mode is a permanent Solo and Duos game mode with competitive settings, which means that unlike Events, they’re always enabled to players. In Arena, every player has a rank represented by their division. Everyone starts in the Open League, Division One. They can rank up to Division Seven, which is the Champion League, by receiving points called Hype based on the numbers of eliminations they get and their placement in each match. Getting a certain number of Hype points in several matches will allow players to go to the next Division or League. The Arena has seven divisions total divided in Open, Contender, and Champion League. Players can get Hype in all divisions based on the number of eliminations they get and their placement in each match. For Solos and Duos, the Hype you get for each of these are the same, but you pay Hype in high divisions to play each match. Players will increase their Division once they go past the Hype threshold of the Division they are in. For Open League, players have to get 25 Hype total in as many matches as they can. This is how many Hype points players get for their performance in Arena Solo and Duos. Players carry the number of Hype points they have from one division to the other. Divisions are determined by the total number of Hype players have in Arena as shown below. Bus Fare is the Hype players have to pay to start a match in the Arena Mode. It only exists starting from Division Four, and its value increases until Division Seven. This means that if a player pays the Bus Fare and fails to get points in that match, they’ll lose Hype equal to the Bus Fare once they go back to the lobby. It’s unclear at this time if it’s possible for a player to be demoted from one division to another. Here are the Bus Fares for each Division in Solo and Duos. Arena Mode is perfect for those who want to play Fortnite with people who have the same skill level as they have. Matchmaking in Arena is based on Division and Hype points, which means players will only face opponents who are in the same Division as theirs and, if possible, with the same number of Hype points. 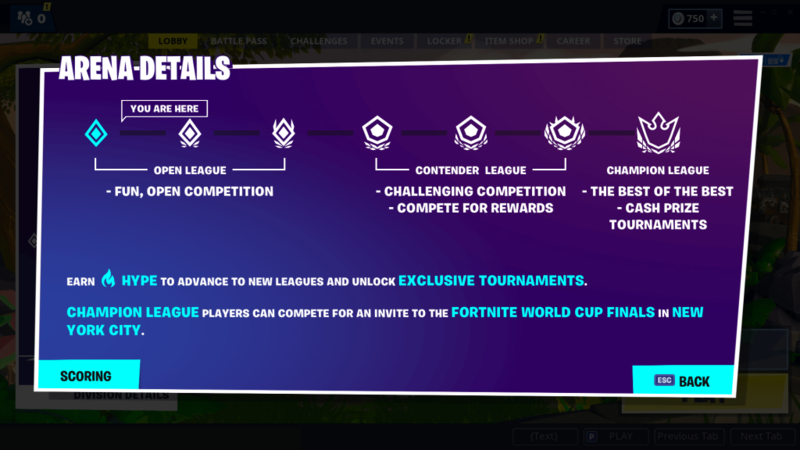 Other than that, the Division players have in Arena Mode will let them unlock online Events with prize money, such as the upcoming Luxe tournament and the Fortnite World Cup Online Qualifiers. Therefore, the Arena Mode is a player filter and also a direct path to go professional in Fortnite. We will update this story as more information about Arena Mode is revealed or changed.